I ended up at Mia's for my birthday dinner. I ordered their famed brisket tacos. They were very rich in flavor, maybe a little salty, and quite unique to anything else that I have ever had. I was anticipating something similar to the tacos de sabinas from Nuevo Leon, but they are different and good each in their own ways. Their sides and salsa were nothing memorable. For dessert, it was between flan and sopapillas w/honey. I chose the latter since it'd been so long since I last had them. For the Dine Around, I went to Go Fish. There was a mini appetizer bar set up for us upon arrival: chicken eggrolls, seafood quesadillas and spinach lobster dip. I had high expectations for the spinach lobster dip that also included crab. Unfortunately, it was bland. The chicken eggrolls were probably the best of the three. For dinner, we were given a limited menu for soups, salads, and an entree. (We had a dessert bar waiting for us back at the hotel.) I chose the lobster bisque, fried green tomato salad, and the ahi tuna. The lobster bisque was really rich and hearty w/only a couple pieces of lobster. I enjoyed the batter on the fried green tomatoes, which were served with arugula and crumbled goat cheese. The seared ahi tuna was cooked to perfection and served with two tempura battered gulf shrimp atop a spicy mango slaw with cilantro oil and a mango vinaigrette. I loved the mango vinaigrette w/my tuna. The shrimp were large, and the tempura batter resembled more of a beer batter - still good nonetheless. I'm not a big slaw fan, so the spicy mango slaw didn't do much for me. Thanks for all those that replied to my post and PMs! At the beginning of the month, I found myself in Dallas again for a last minute business trip. I stayed at the Fairmont which is within walking distance of the office so I did not have a car available to me. For lunch on our first day, I had red beans and sausage over rice with a piece of jalapeno cornbread at Treebirds. It is in the basement of a nearby office building. I ordered the large portion since the small was merely a cup. The cornbread was a disappointment – it was very dry, bland and kind of hard. The red beans and sausage over rice was pretty good, but I had to add some seasoning and hot sauce. For dinner, I still felt really full from lunch so I finally decided to take the free trolley up to McKinnley. One of the local experts on tripadvisor really favored Tecole’s, so I decided to give it a try. I sat at the bar and ordered the Del Mar taco combo: 1 shrimp, 1 grilled red fish, and 1 fried red fish. Each taco was fairly tasty. It is hard to pick a favorite. The rice was nothing to write home about. I think I saw a tiny fly land in it, so I quickly stopped eating it. The black beans were seasoned and had the slightest kick to it. It was fine, but not somewhere I would seek out again. For lunch on day two, I wanted something quick since we had so much work to do. I decided to grab something at Aija – a restaurant in the building. It’s a very interesting menu in that I didn’t know what kind of restaurant they were trying to be. They had a buffet for those dining in – I didn’t get a look at its offerings. There was a cash register for gourmet to go. They had things like dover sole, chicken teriyaki, California rolls/Shrimp tempura rolls, and salads. The man taking my order pushed the catfish taco special on me – he said they were really good. So I took the bait and bit. The batter was really light - it kind of reminded me of tempura but not quite. Strangely the side was a Caesar salad. For dinner that evening, I decided to cab it over to Ozona Grill & Bar for ScottDFW’s #1 rated chicken fried steak. It was pretty far from downtown Dallas via cab. I was really looking forward to trying Abita root beer, which they supposedly had on tap. NO MORE! So disappointed. Per Scott’s suggestion, I subbed the garlic mashed potatoes for the fries and asked for the gravy on the side. The food arrived very quickly! I could see large chucks of garlic throughout my mashed potatoes. It was delicious. The chicken fried steak tasted very homemade. It reminded me of the breading that my mom uses for her pork chops. I wasn’t really sure what to expect of the steak’s texture. I found it to be a more crumbly than I expected for lack of a better description and expectation/knowledge. I liked having the gravy on the side so that I could moderate how much was used and to prevent the breading from getting soggy. I can’t believe I ate as much as I did, but of course it didn’t stop me from ordering dessert! I ordered the Kentucky pie w/cinnamon ice cream to go b/c I really couldn’t take in another bite. It was a sizeable dessert for only $4.25! I’d never had Kentucky pie before so I really don’t have much basis for comparison/critique. The pie was warm and had a little coconut near the crust. I really enjoyed the cinnamon ice cream – it was a good ground cinnamon punch. On my last day, my traveling co-worker and I walked over to Stephen Pyles for lunch. I ordered a brisket sandwich with onions, and she ordered the ceasar salad. I barely touched my meal. The brisket was oversauced and fatty – no where near as good as Smoque’s. The onion rings were overly salty and a mess to eat – I add to twirl it around my fork like spaghetti. My co-worker enjoyed her ceasar salad consisting of rotisserie chicken, polenta croutons, and a parmesan crisp. For dessert, she ordered the heaven and hell cake, and I ordered the coffee and donuts. Her heaven and hell cake consisted of alternating layers of angel’s food cake and devil’s food cake with a peanut butter filling and chocolate frosting. My dessert included a coffee flavored crème brulee and donuts with a goat’s milk caramel dipping sauce. The crème brulee was pretty good, but the donuts were too yeasty and dense for my liking. The goat’s milk caramel was nothing to write home about. I ordered a chicken pesto flatbread for my flight home that evening. Again, I really feel like I could’ve had the same thing at California Pizza Kitchen. My experience here just did not live up to the hype. Had the fortune of spending thanksgiving in Dallas this year. I had two opportunites to for Dallas chow. My son and I went to Mia's on Lemmon Ave--I was not blown away. The brisket taco was nice but for the most part everything else was just covered in cheese. Maybe Tex-Mex just isnt for me. (I did like my many meals at Chuy's in Austin much better) Frankly, Uncle Julio's is a fairly good aproximation of what I ate for lunch. One dinner was at a steak house downtown called Dakota's. It reminded me of business man expense account restaurants that I have visited in Anycity, USA. It was fine in the same way Mortons in Columbus, Ohio is fine. I get miserably lost every time I'm in the Dallas area on business (for some reason, yahoo and google maps seem to have no idea about this part of the country), so now I tend to stay as close as possible to my hotel. Unfortunately, my recent trip was to Lewisville, where every imaginable sub-mediocre chain abounds, and there is not a decent, independent restaurant in site. I ended up at something called BJ's Brewery, which was a blast in that I got there in time to watch the Cowboys choke in the 4th quarter of Sunday's game while sitting with some of the country's most passionate and angry pro football fans. I was also surprised at how absolutely decent the burger was: a big, loosely formed patty served medium-rare as requested, and well-seasoned and juicy. No need to avoid this chain if you're in Lewisville. La Madeleine, on the other hand, is a wretched "French" food chain that serves brutally bad, weak coffee and artificial-tasting pastries. I know how you feel about the 'burbs of Dallas being a wasteland of big ole' chains. When I travel to Dallas on business I'm usually solo, so I also don't tend to venture too far from my hotel, which is normally in either Addison or the Las Colinas area of Irving. If you ever find yourself in one of the many Addison hotels, Clay Pit is not a bad choice: http://www.claypitdallas.com/ Devon Ave it's not, and apparently it's one of two locations (the other being in Austin) but the dinners are quite good, the naan is fresh and lightly charred, and their chutneys are very flavorful. It's never too crowded (partially because it's huge) and the staff is very friendly. My wife and I will be in Dallas next Thursday for one night only (we'll be in San Antonio Friday night through Sunday). I noticed that there hasn't been any posts in a couple of years. Does anyone have any suggestions for us? We like steak and Tex-Mex, regular Mexican. We're not big fans of fish. We're staying at the Hotel Crescent and will not have a car so, someplace within walking distance would be preferred. The hotel's address is 400 Crescent Court, Dallas TX 75201. Stephen Pyles is one of the country's most brilliant and innovative chefs. I haven't been to his most recent offering but his previous restaurants have been great. I don't know what you are willing to spend but his newest place is extremely pricey. The menu looks wonderful. In San Antonio we loved Biga on the Banks. RevrendAndy wrote: Stephen Pyles is one of the country's most brilliant and innovative chefs. I haven't been to his most recent offering but his previous restaurants have been great. I don't know what you are willing to spend but his newest place is extremely pricey. The menu looks wonderful. Tried it, and was impressed by the creativity in menu construction, but less enthused about how the food tasted. Exciting-sounding dishes had surprisingly flat flavors. For example, five-spice marinated quail with jalapeño gnocchi sounded bold, but I could barely discern the five-spice flavor, and the jalapeño must have blanched into oblivion before mixing into the gnocchi dough, because I could not tell it was there at all. It was a nice, juicy, well-cooked bird though. A tamale tart with garlic custard and a shell made from ancho-infused masa sounded exciting, but once again ingredients with naturally strong flavors were rendered way too subtle for my taste. My sister is being ordained at the end of May in Frisco, and pretty much our entire clan will descend upon the Dallas area for the weekend. I am in charge of finding a restaurant for a Friday night gathering nearby (I believe we're all staying in Frisco). I'm thinking something that's very "Texas barbeque" - brisket, beef ribs, inside picnic tables, etc. My wife has a friend in Frisco that provided some information that may or not be helpful - and, as a disclaimer, I think my mention of Texas barbeque to my wife was a little lost in translation. The friend's evaluation panned chains Spring Creek and Dickey's, but did recommend Jasper's. After looking at the menu, it looks great (peach BBQ tenderloin was highly rec'd) but a little pricey for our entire group - not exactly what I was hoping for - although the restaurant does look like it's gained some awards and great reviews. Our group includes some 20+ year olds that have paid for flights and accommodations from CA, AZ, WA, IL and the like. I'm personally not at all opposed to such a place, but it might stretch or even snap the budget for family that has flown from all over the US for this celebration. I was hoping for something a little more....laid back and "briskety". I'm told Jasper's is in close proximity (Plano) to Frisco, which is important from a carpooling & accommodation standpoint. DeathByOrca wrote: Any ideas nearby? Yes, now that you mention it. So, where do we get our brisket - Manny's, the custard place, or Babe's chicken house? Brisket? It's been a while since I've been, but Sonny Bryan's (orignial location only!) is a classic. Have I mentioned that you should only go to the original location on Inwood? My brothers and I are heading to Arlington this weekend on our annual trip to see the Cubs. Our trip typically includes a local steak house. We want a decent steak, but also something that is unique to the area. A really good BBQ place nearby would be helpful, too. I got a great recommendation for Ray's The Steaks (in D.C.) here last year and hoping to repeat. We wont have a car, so a short cab ride is preferred. The Big D has become a yearly stop for me with it being the lady's hometown. I was recently in Texas for 8 days and aside from a couple meals in Austin, we ate BBQ, Mexican and or Tex-Mex the entire trip, and I'm not sick of any of it. There's really no walking around in Dallas. It's the most spread out city I can remember driving around in, the entire DFW area could be mistaken for the largest strip mall in the world. If it's a franchised chain they have it in Dallas. But they also got other stuff going on in good independent chef driven spots and also mom and pop local stops. Here's a roundup of those that aren't BBQ based, I'll report on them in another thread. Dallas restaurateur Mico Rodriguez was one of the founding partners of the popular Mi Cocina which has several locations in the area. Some spat happened and he left the group and disappeared for a while before roaring back with Mr Mesero located on a popular strip in Uptown. I went there a year ago and enjoyed the food/atmosphere. Since then he's opened another restaurant in the same neighborhood called Mesero Miguel, which he then closed and reopened as Mesero. It's all kinds of hard to follow so lets just get to the food, it's what I was hoping Dove's was going to be. 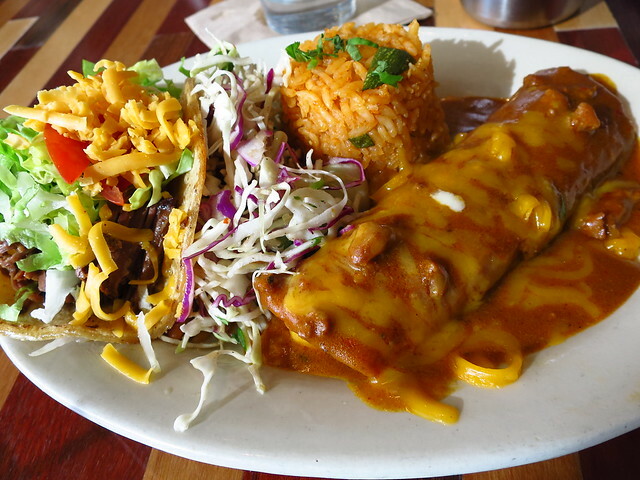 You can only take Tex-Mex so modern without turning it around into something else. They manage to take that step up but not out with dishes like Nachos Conocidos which are fresh fried tortilla chips individually topped with black beans, queso chihuahua, brisket, avocado, jalapeno, mexican crema. There's an entree section with intriguing options but my eye was set on the combination plates. These feature homegrown favorites like the Tejano enchiladas which are cheese filled tortillas drowning in the best chili laced meat sauce I've ever come across. You can pair them with crema queso chicken enchiladas or perfectly seared steak fajita tacos and so on. Just like the food, the margaritas pack punch. Both floors were booked on a Monday night as the place was jumping with families, dates and parties of people out and about. Definitely a hot spot right now. 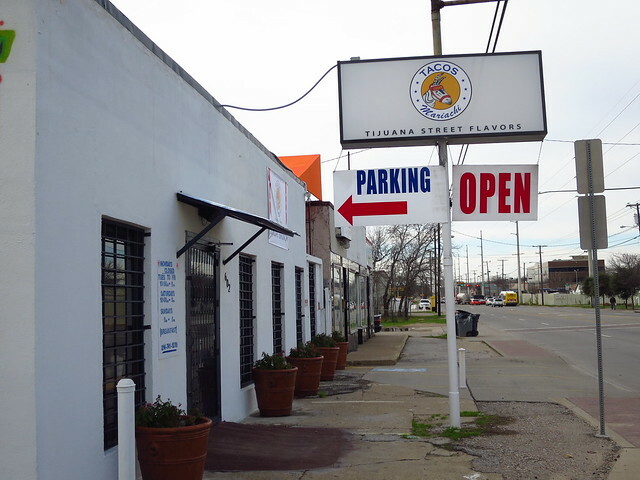 This modern Mexican restaurant sits in a neighborhood (Oak Cliff) in the middle of a transition. The husband and wife team behind this place come from Alvarado Veracruz, a small town with the Gulf of Mexico on one side and a brackish lagoon on the other. 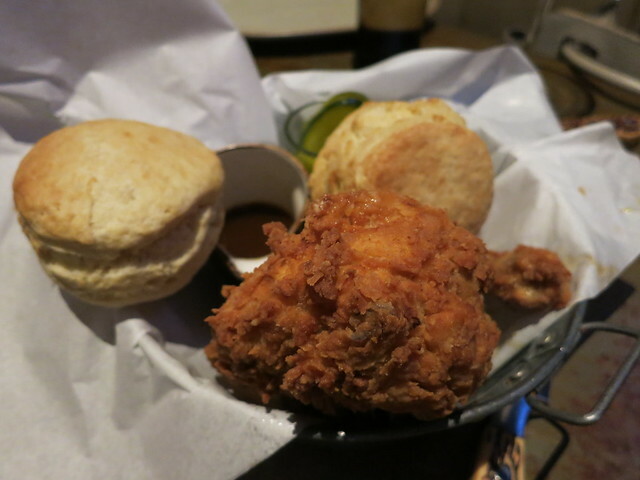 They're bringing the authentic flavors of their hometown cuisine to Texas with much fanfare. So much I had to see for myself and I came away fully concurring with all it's fans. 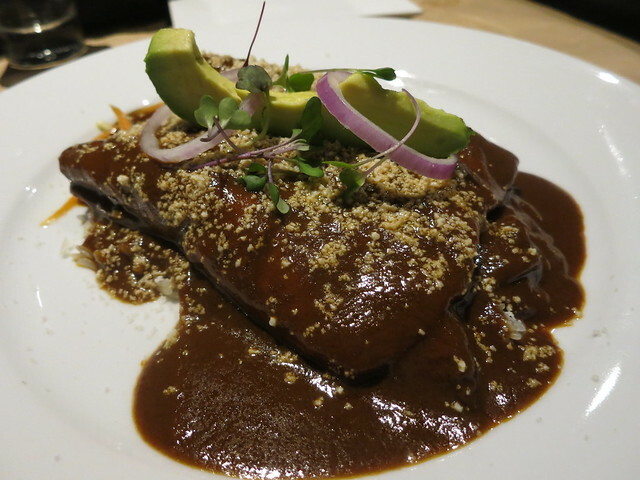 You gotta try the signature dish aka Mole Mama Cata. 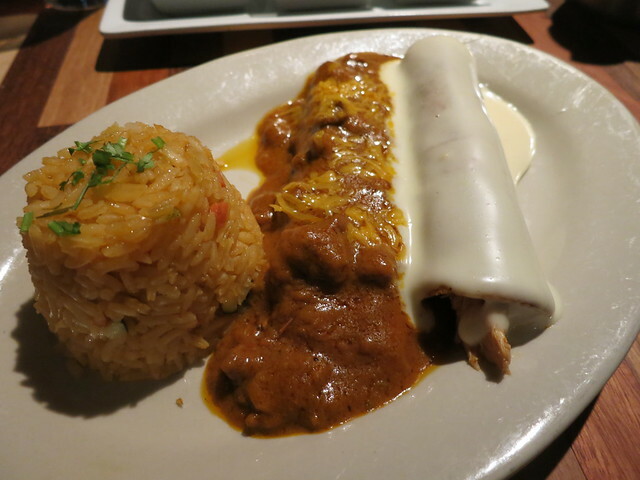 You can get it on the appetizer section in the form of Enmoladas, try it off of the entree sized portions with it smothered over a duck leg or order the chicken enchiladas like we did. Man oh man. Some of the best mole I've ever tried as there wasn't a lick of it left on the plate. Big chance I'm back here for this dish next time I'm in town. 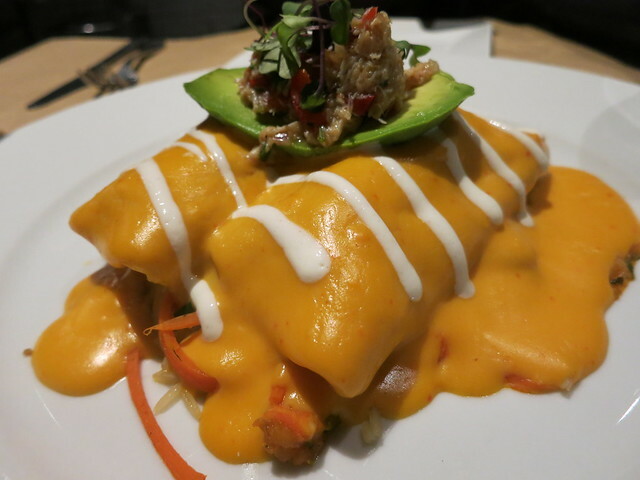 Also delicious were the lobster enchiladas which came with nice sized chunks of meat inside homemade tortillas covered in a creamy poblano sauce topped with avocado and blue crab over a julienne vegetable salad with rice. As good as this signature coastal dish was, the mole stole the show. We decided to do dinner at Stampede 66 one night after I couldn't get a reservation at the new-age steakhouse called Knife. 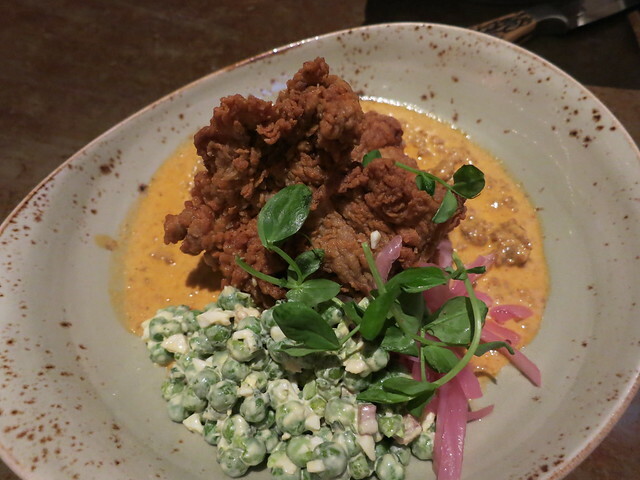 Run by a well known Dallas chef named Stephen Pyles this is his ode to Modern Texas cooking. Lots of tempting stuff on the menu including what many call the best margarita in the country but from the descriptions I read it was more about the show (Its made table-side with liquid nitrogen). 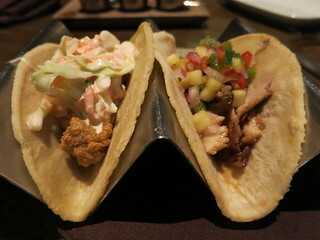 At $18/each I decided not too indulge in one and instead opted for another round of perfectly executed designer tacos. 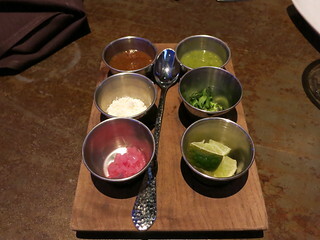 I loved the homemade tortillas, the seafood fillings and the personal topping bar they came with. I didn't mind paying $4/each for these as they were excellent eats. For dinner she had the fried chicken basket and I went with the ever so tempting chicken fried steak. The bite of fried chicken I got was pretty damn good and she's a big fried chicken critic and loved it. Though I thought the biscuits weren't crumbly enough for my liking she loved them. My chicken fried steak was pretty damn good but not what I expected. I guess by serving a slick spiral cut steak instead of a wide flat hunk of makes it modern. 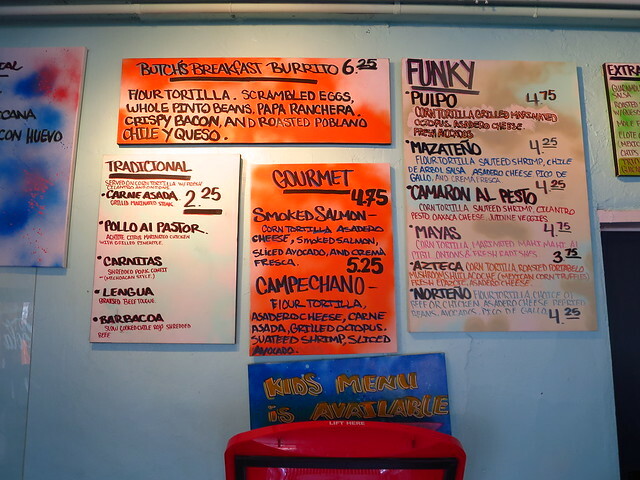 That and maybe the chorizo roja gravy or mint pea salad and pickled red onions that came with it. Not pictured is what every piece of chicken fried steak should have in its presence (Attn: Dove's), a big cup of loaded mashed potatoes (made with bacon, cheese and chives). All in all a satisfying meal in a very pleasant setting. 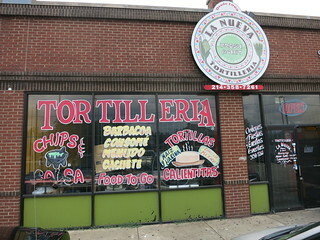 This was a repeat stop from my last trip when I did a little taco tour which you can see HERE. My buddy from the twittertacosphere runs a fun site based out of Dallas that covers all of Texas. It's called The Taco Trail and La Nueva is one of his favorite places in DFW for tacos. They make excellent tortillas in house and fill them with different steamed meats including the always popular borrego (shredded lamb) and cachete (beef cheek). So many tacos to try in these parts so it says something when I make it back somewhere for more. Nice to see a little bit of action over here. Got some spots from my yearly trek to Dallas to share. While San Antonio and Austin recently bickered back and forth about the rightful home of the breakfast taco, Dallas just sat back laughing. Not directly at breakfast tacos, which are definitely a San Antonio thing popularized in Austin, but at the fact that either thought of themselves as the states taco mecca. The truth of the matter is that when it comes to tacos of all regional variations, Dallas is right there with Los Angeles and Chicago as one of the best places in the country for Mexican food. First stop up helps solidify this claim. Always a good sign when the owner and his family greet you upon entry. 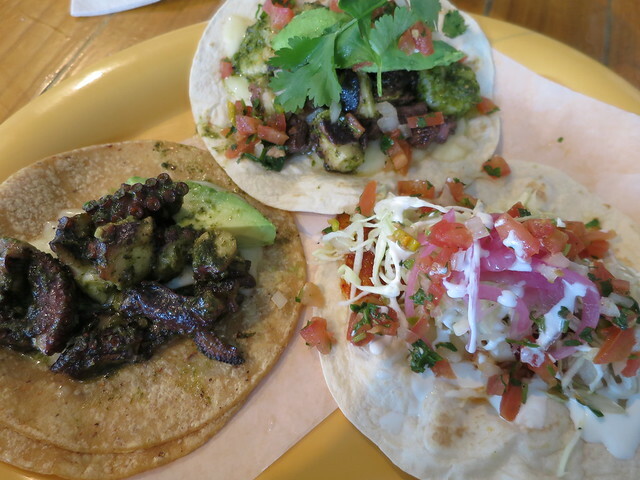 Despite being in a hip and happening neighborhood (Trinity Groves) there's nothing hipster about these tacos. They're the real deal like those you'll find in Baja Mexico. The owner was boastful about his tortillas made from 100% fresh nixtamalized masa by a family down the block. A starter of chips with a trio of magnificent salsas was yet another good sign of whats to come. For my tacos I chose to roll with one Pulpo aka octopus, one Campechano aka Octopus, Steak, Shrimp and one Mazateno which was shrimp with a spicy chile de arbol salsa and lots of cheese. The latter of which you'll find in almost all Tijuana style tacos so don't let your local food snob tell you cheese doesn't belong on tacos. Not a bad one in the bunch, best tacos I've ate all year thus far. Continuing along with the taco spots at the extremely popular Urban Taco in Uptown. This is a Modern Mexican restaurant where they're putting out top tacos as well as cocktails and other Mexican favorites. One of the options off their taco menu was featured in a Texas Monthly roundup of the best tacos in the state and it caught my eye. They credit their recipes to the street food of Mexico City which is obvious in this magnificent ode to the style in DF where crisped up cheese is the tortilla. Called "Tacos a la Tuma" Urban Taco chooses to layer the cheese on the outside of a tortilla creating lots of cheesy crunch. As craveworthy as they come. Repeat visit. 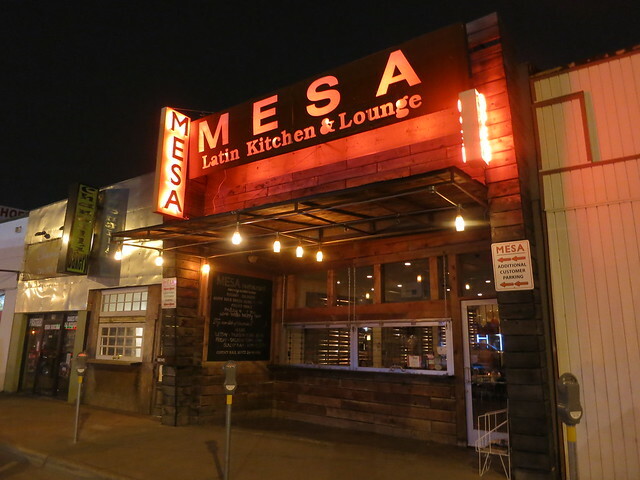 In fact I'll probably never make a trip into Dallas without a stop at Mesero-Henderson which I mentioned up above. I need my fill of Tex-Mex when in Texas and when in Dallas this is our spot. It's about as fancy as Tex-Mex can get without becoming something totally different. They got a great atmosphere, excellent drinks, and awesome plates of food. I think their Tejano Enchiladas are some the best damn enchiladas anywhere and the brisket taco is no joke either. If you cant enjoy a plate of food this good you might as well just eat oatmeal and rice your whole life. 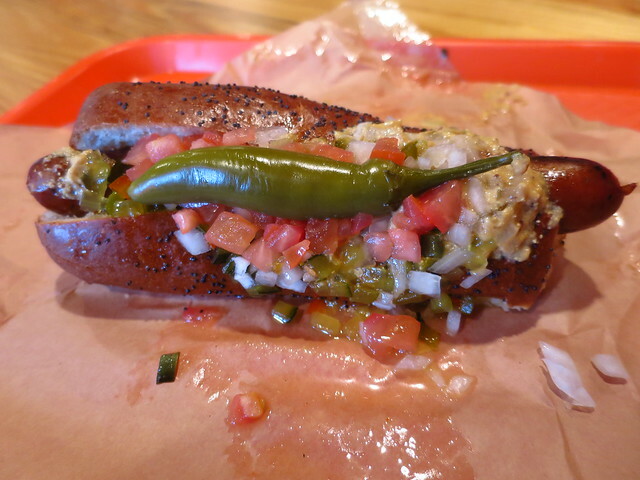 Luscher's is a spot in the Deep Ellum area that was on my radar since it's opening. I wanted to see what was up with this Dallas chef's ode to his hometown of Chicago with a Taste of Texas mixed in. The menu reads like many spots in Chicago with hot dogs, burgers, Italian Beef, and so on. The difference being that Vienna Beef is not the supplier of the wieners. Instead they're using their own housemade smoked wieners. I chose to go with a Chicago style version and got to experience a different kind of Chicago dog. This one being both smokier and meatier. Though truth be told it aint the same without a Vienna Beef up in there. Next time I'll try da housemade beef. From the Texas BBQ Tour thread - Pitmaster Matt Dallman is bringing the best of his hometown to the Big D and the locals love it. You cant go to a KC BBQ spot and not try the meat most associated with this style. 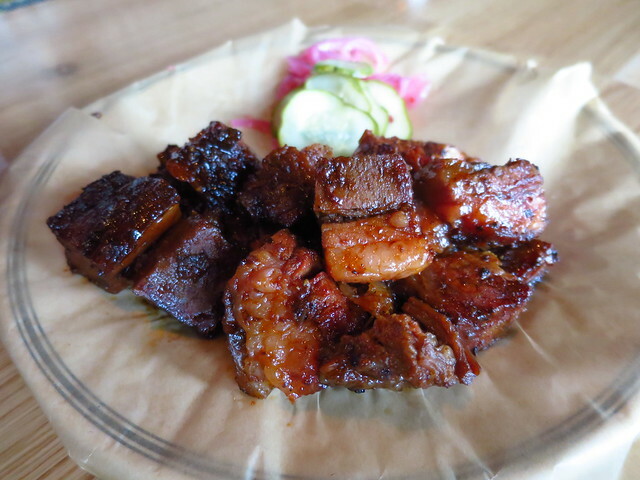 The Burnt Ends from here were light years ahead of any of the examples I tried in KC. Tender melt in your mouth pieces of smokey beef drizzled with sauce and paired with house cured pickles and onions were one of the best bites of this trip. Now I can fully appreciate Burnt Ends. Last up is a place I learned of while reading the 2015 dining round-up in Dallas Magazine. 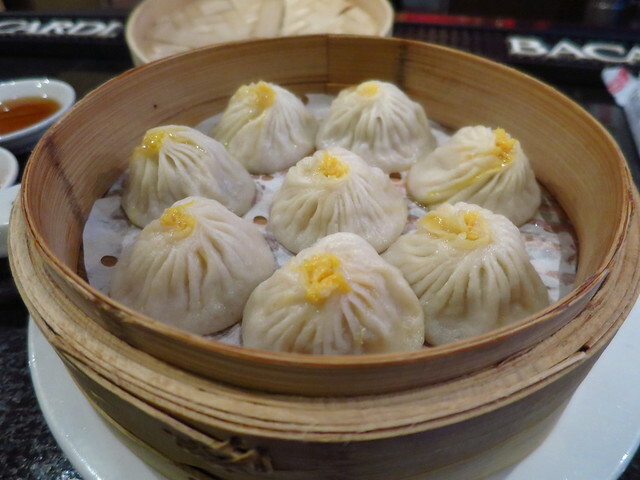 Fortune House Chinese and their Xiao Long Bao were among the 10 best dishes of the year. I couldn't resist and took the 30+ minute drive out into Irving. Despite some poor service, they were packed, I finally got an order of pork/crab soup dumplings delivered and they were the best I have had, and still are after a recent trip to Din Tai Fung in Seattle. I'm still by no means an expert but these had thin skin and exploded with that great crab/pork flavor combo. So good I almost got a second order. Got a few more stops from this trip HERE if you want to check them out. I have a hard time finding a lot to like about Dallas, the city. The people are surprisingly fine. I'm very glad that this Tex-Mex with Rick-Bayless seriousness about the cuisine is there. For me, this strain of regional American (US and Mexico) food probably finds its greatest moments as a burrito covered in green chile and cheese on the side of a mountain in Colorado when I'm exhausted and half in the bag. But this was good. The brisket tacos and enchilada especially. High quality meats and technique but the cheese was still processed, which is right. It's hard for me to get past the fact that every damn spot in that town must sit alone surrounded by a moat of parking lot with a valet. It makes the strip malls of Hollywood feel like iron-stooped storefronts in Chicago or Queens, which they are in relative terms. Before I headed to DFW I stopped by Henry's Majestic, a cocktail bar surrounded by the same asphalt moat, where the quite good bartender talked about getting the hell out of there, probably to Detroit with a stop in Chicago first. Dallas suffers because it's Dallas and not Austin. Even the similarly problematic Atlanta has long had a southern hipster Amy Carter-dressed-as-Minnie Pearl element going way back. Nothing feels even that "real" in the Big D to me. Da Beef wrote: Always a good sign when the owner and his family greet you upon entry. 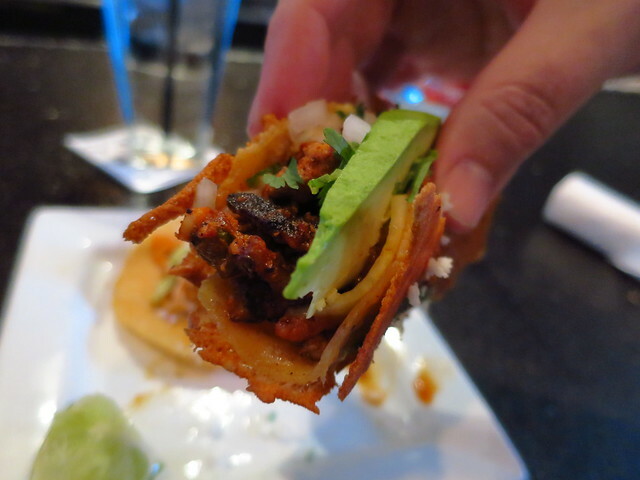 Despite being in a hip and happening neighborhood (Trinity Groves) there's nothing hipster about these tacos. They're the real deal like those you'll find in Baja Mexico. The owner was boastful about his tortillas made from 100% fresh nixtamalized masa by a family down the block. A starter of chips with a trio of magnificent salsas was yet another good sign of whats to come. What is that yellow salsa they brought out? They were slammed by the time I was leaving so never got to ask anyone. I'm a big fan of octopus but the pulpo taco was my least favorite of the 3 I had here, very muddled flavors, nothing really pronounced. I for sure enjoyed the Mazateno, the pico, salsa, crema were delicious. 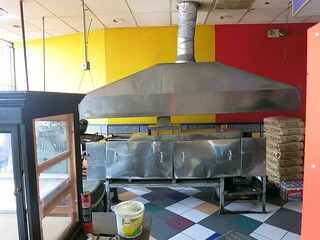 The Azteca (portabelo, huitlachoche, onions, radish) was the best taco I had here, terrific. 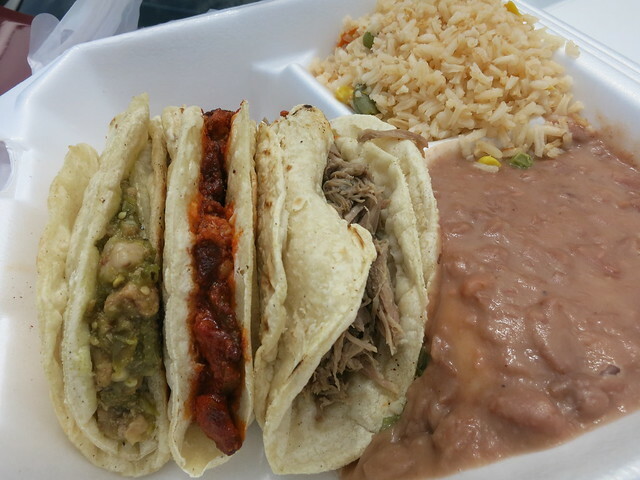 Shredded beef, cachete (really wanted deeper flavor from this), picadillo were all decent tacos. The showstopper taco/taste of the day for me was the borrego (shredded lamb), simply amazing and what a way to end a little taco crawl. 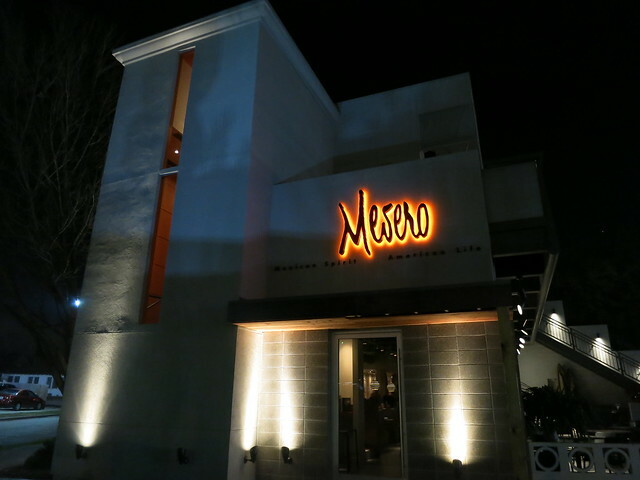 I treated a very helpful co-worker, who lives local, to lunch at Mesero on Henderson. He is local and had not heard about this place. Tried a place up in Richardson called Fish City Grill with a few locations in Houston & Austin, most are in the greater DFW area. Grilled oysters were delicious and cooked perfectly so that oysters were still wet & liquor was present. I noticed something called Oyster Nachos on the menu and inquired about them but stated I thought it would be too much breading (breading = on oyster & nachos themselves). Server brought out a single oyster nacho for me to try. I didn't like it as it was indeed too much 'breading' but I was super appreciative of the sample and tipped accordingly. I decided on a fried oyster lunch, done excellent, light breading & delicious with a side of Virginia Apple Cider Slaw, the cheesy grits were nothing special. Da Beef wrote: Last up is a place I learned of while reading the 2015 dining round-up in Dallas Magazine. Fortune House Chinese and their Xiao Long Bao were among the 10 best dishes of the year. I couldn't resist and took the 30+ minute drive out into Irving. Despite some poor service, they were packed, I finally got an order of pork/crab soup dumplings delivered and they were the best I have had, and still are after a recent trip to Din Tai Fung in Seattle. I'm still by no means an expert but these had thin skin and exploded with that great crab/pork flavor combo. So good I almost got a second order. I checked out of my hotel in the Las Colinas area and was wondering where to eat when this photo and description popped into my head. When I pulled up maps and saw Fortune House was only 8 mins away I knew were I was heading. At 5pm on a Sunday there was plenty of tables open but it certainly started to fill up as time went by. The pork & crab dumplings were off the chart for me, easily some of the best I've had. Like you I seriously thought about ordering a second helping for myself. That said, my second course was certainly no slouch: Chicken, Peanuts, Peppers (Chilis). Perfectly cooked chicken with peanuts & Szechuan peppers, with a nice dousing of chili oil. Quite a tasty dish although there wasn't any heat that I could detect. Fortune House is well worth a stop. Sweet Willie wrote: The pork & crab dumplings were off the chart for me, easily some of the best I've had. Was just in Dallas and took a client to dinner at Fortune House, pork & crab soup dumplings were again off the chart, stunning. Client and I split the pork pastries and an order of fish with chili & tomato sauce. Pork Pastries were tasty morsels, puff pastry like stuffed with ground pork. Fish was perfectly cooked, sauce enjoyable but too sweet, also had no kick despite a chili pepper note next to the menu listing.